Αν αυτό που ψάχνετε είναι μια ιδιοκτησία σε καλό σημείο της πόλης Μπανγκόκ, μην ψάχνετε πιο πέρα από το Canale Hostel. Από εδώ, οι επισκέπτες μπορούν να έχουν άμεση πρόσβαση σε όλα όσα η πόλη έχει να προσφέρει. Από τη βολική της τοποθεσία, η ιδιοκτησία προσφέρει εύκολη πρόσβαση σε κορυφαίους προορισμούς της πόλης. Οι εγκαταστάσεις και οι υπηρεσίες που παρέχει το Canale Hostel διασφαλίζουν την ευχάριστη διαμονή των πελατών. Για να ονομάσουμε μόνο λίγες από τις εγκαταστάσεις του ξενοδοχείου, υπάρχουν τα ημερήσιος καθαρισμός, δωρεάν WiFi σε όλα τα δωμάτια, αυτόματο πλυντήριο, 24ωρη ρεσεψιόν, ασύρματη σύνδεση Wi-Fi σε δημόσιους χώρους. Επιπλέον, όλα τα δωμάτια διαθέτουν ποικιλία ανέσεων. Πολλά από αυτά παρέχουν ακόμη και επίπεδη τηλεόραση, δωρεάν καφές φίλτρου, δωρεάν τσάι, παντόφλες, πετσέτες προκειμένου να ευχαριστήσουν ακόμα και τον πιο απαιτητικό επισκέπτη. Εξάλλου, το ξενοδοχείο διοργανώνει πολλά ψυχαγωγικά δρώμενα έτσι ώστε να έχετε πολλά πράγματα να κάνετε κατά τη διαμονή σας. Απολαύστε τις ασύγκριτες υπηρεσίες και μια πραγματικά περίβλεπτη διεύθυνση στο Canale Hostel. Friendly staff and good ambience. Near the nightlife district. However there were bed bugs, that's why i stay at their partner hotel. My cousin stayed here and didnt have any problems, i guess im really sensitive when it comes to bugs. But overall, with the breakfast, i recommend this place. True to pic. The staffs are hospitable and pleasant, but due to bed bugs i decided to stay in their partner hotel, boworn which was taken care by elderly aunties. No problem at all. It was a pleasant stay. I believe they are already doing the pest control in the hostel. Checked in, the place looks great. Nice novel hostel a bit outside koh san area. Bed bug central!! I was on my bed got a bit so explored a bit found quite a few BB just from a quick look, I told the staff so they moved me to another bet but I was the same. Honestly I have never visually seen so many BBs in a hostel they where everywhere. I wasn’t hanging around this one, they gave me a refund and I found a decent clean place. It’s a shame but I wouldn’t recommend this place. 2 issues - a. Insect spray session happened on the day of our supposed check-in date and so we were told that we had to stay at a nearby hostel instead. We should have been informed in advance. b. On the second day, there were still bed bugs in our beds causing my friend to have bites all over her back. I stayed here just one night a week ago. and I got one hundred bedbug bite. even though I let them know about the bed and me, they didn't give me any information until I sent email to them. and I still have many bites on my all body. It looks so creepy. I never visit this hostel again. I would definitely go back. Nice and clean room. Lovely! Nearby famous places. Feels like home! nice little spot on the small canale. Close to the khao san road, only about 10min walk. For us, we didn't want to be to close to khao san road because of noise (got to be able to sleep), but i didn't want to be to far away also. Staff was amazing, everyone knew english pretty well. Help us got a great deal on a shuttle to the airport. Easy to talk to, polite, they are all wonderful and pretty cute also =). We had the deluxe suit, which was nice. You can tell this is an older spot which adds to it's charm. When we were there, the other guest were all pretty chill and friendly. AC did take a wile to to cool the room though. Bathrooms was clean, the shower flow was amazing. Overall I would suggest booking here if you looking for a chill environment. since it wasn't close to khao san road it didn't have that party atmosphere which is what we were looking for, but when we did want to party it was only a 10min a walk away to get there. In general the hostel was good. The toilet was slightly dirty when we arrived. Staff was friendly and helpful, but no room service. Once we came back from town in the noon, the A/C was off and the remote suddenly dissapeared. I asked the reception and found the A/C remote there. The girl didn't know what happened, but informed us in next day that some plumbing work was being done - everything was in the room, but it was a strange episode. I would recommend this place though! Pros Good location near Khao San Road. Very nice living area where you can sit outside by the canal. Everything is clean. 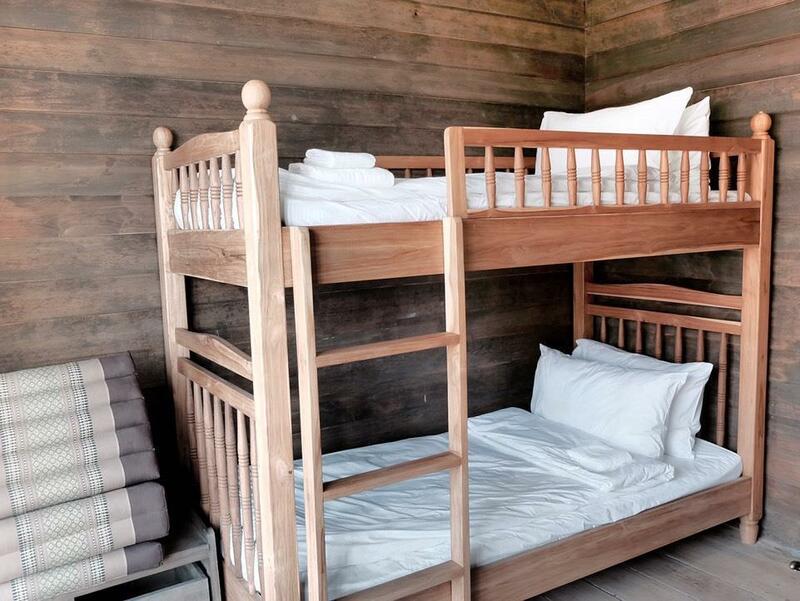 The beds are big and there's plenty of room for your stuff, with a big locker. The air con works perfectly. The staff is nice. Breakfast is quite good and for 100B Cons None, highly recommended! Very relax little nook in the heart of the old Bangkok. It is very close to Rambuttri Village and Khaosan Rd (just 2 min. away), yet because of its location by the canal, it is quiet so you can sleep well. The design of the place gives it warmth an authenticity, and the room had nice memorabilia without being cluttered. It is kept very clean and the wi-fi is excellent. The TV in the room is big and there is one channel in English. Everyone working at this hostel is very nice and helpful. Two points to improve could be: 1- the wayfinding from Phra Sumen Rd. (I could not see an obvious signage). 2- the breakfast (it was rather bland). A nice point to notice is that there's free instant coffee or nice teas, and event herbal teas. We stayed in the room with balcony and it was perfect. At first we were a little afraid about the cleanliness of the sharing bathrooms, but they were perfect clean every day. We felt very comfortable in the hostel, the staff is friendly and help you with questions. The only negative thing is that it is poorly soundproofed in the whole house, so we heard the other backpackers coming home after party and talking loud outside. The Hostel is good located, a lot of restaurants around, a 7/11 nearby and easy to catch taxi infront. All in all I can really recommend it! Thanks! This is somewhat an interesting hostel. It is a very authentic old wooden building right on the banks of a small canal. The facilities are clean and cute. 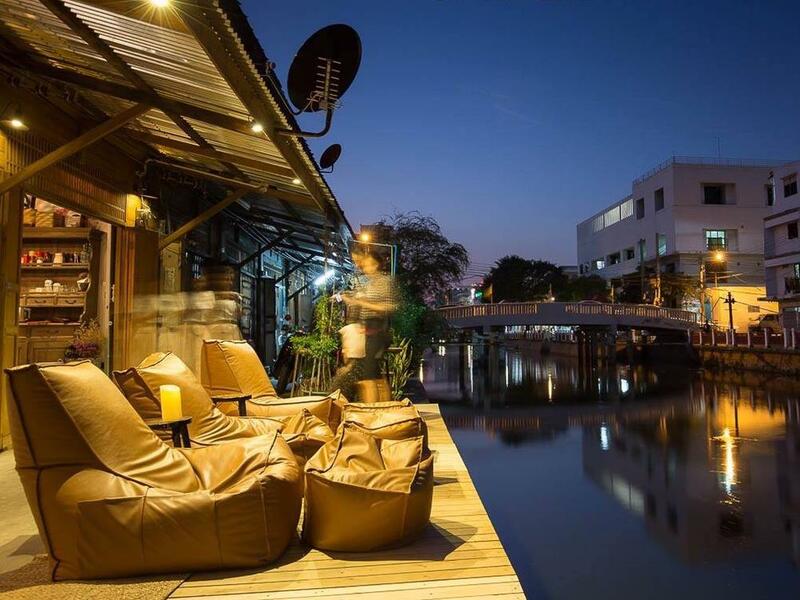 It has an authentic Bangkok canal-side dwelling atmosphere. Unfortunately the canal water is more black than blue. But there is no stench from it as such. The location is right in the tick of the historic Khosan area close to Chao Prayo river pier. Also opposite Wat Bowon a historic Buddhist temple. Beautiful building, nice decoration, lovely and welcoming staff! 5min walk from khaosan and bus transfer to the islands but still very quiet. 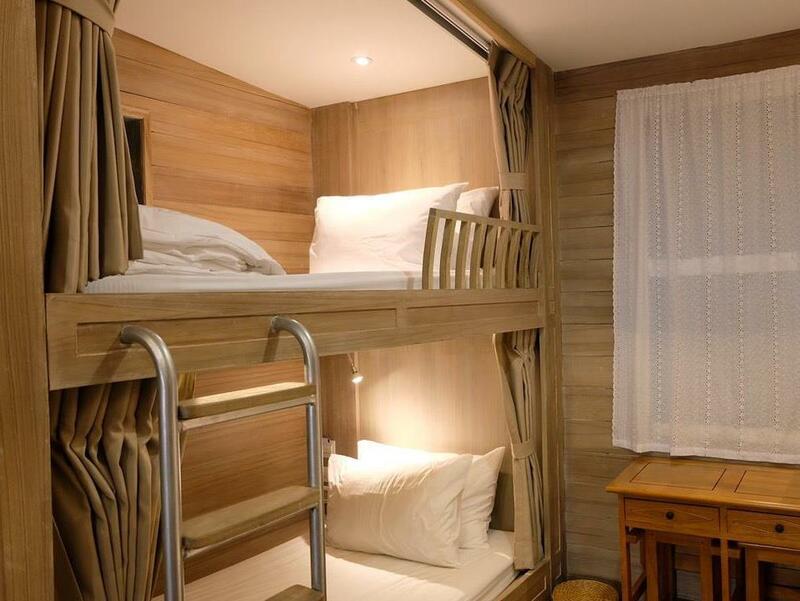 Great bunk beds with personal light, tv, bathrobe, towel , freewifi. Best Hostel in Bangkok, I will definitely come back before leaving Asia. Highly recommend! What a beautiful place right by the water! Perfect spot to relax outside on the little terrace, talking to the lovely staff (they are so welcoming!) and meeting other nice travellers. And the best thing: It's only a five minutes walk to Khaosan Road. Canale Hostel is very clean and offers the best dorms I have ever seen (with flatscreen). 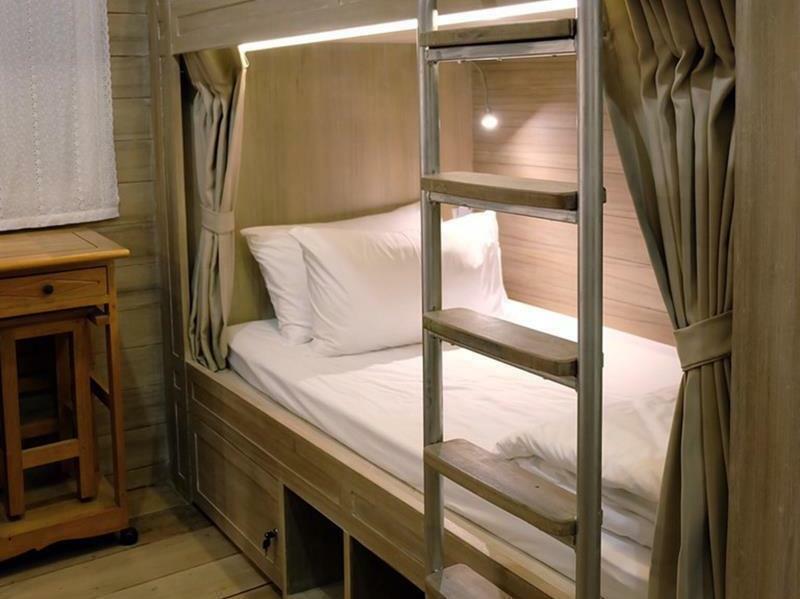 Every bunk feels like a hotel room! 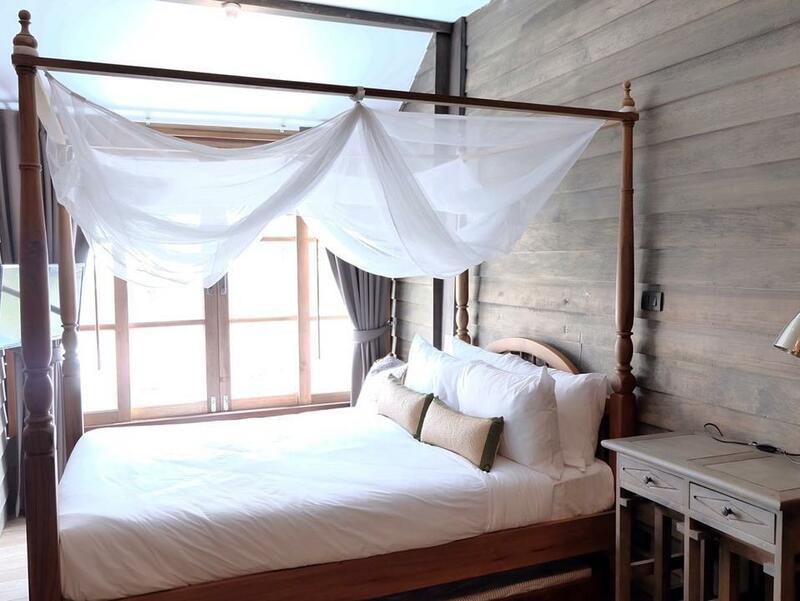 The two private rooms Canale Hostel is offering are also adorable. I highly recommend this place! Great experience. Professional and kind personnel, great service, nice room, clean hostel/room, healthy breakfast, lovely design; makes you feel at home. 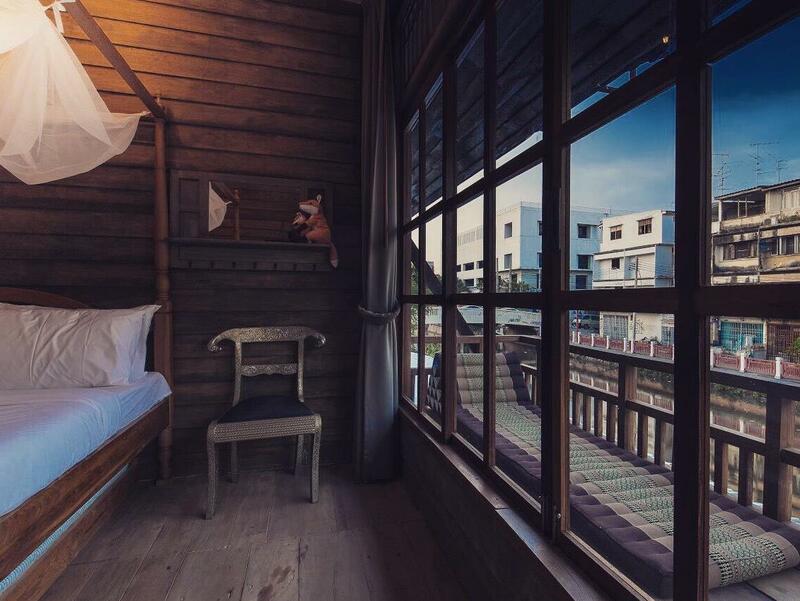 Definitely the hostel for my next stay in Bangkok. Located a short walk from koh sahn which made it a quiet place to stay. The curtains for the bunk beds were true black out making it easy to get a good night's sleep. Not recommended for a party vibe. While in a great location, It's difficult to find even for cab driver. Staff are helpful, but slight language barrier. Were willing to keep my bag there for the day after I checked out until I caught my bus. A solid complimentary breakfast, which is great to enjoy out front by the canal while using free wi-fi to plan your day. Would stay again. Only stayed two nights in here and all the thing was wonderful, nearby other tourist attractions, from Kaoshan Rd just spend around 10 mins by walk. the riverside was so great to me.